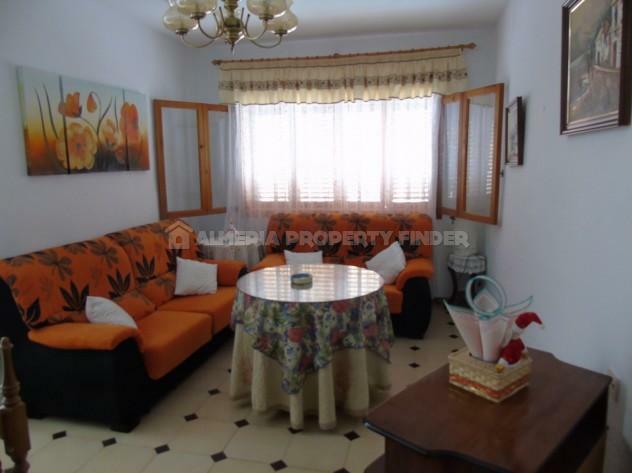 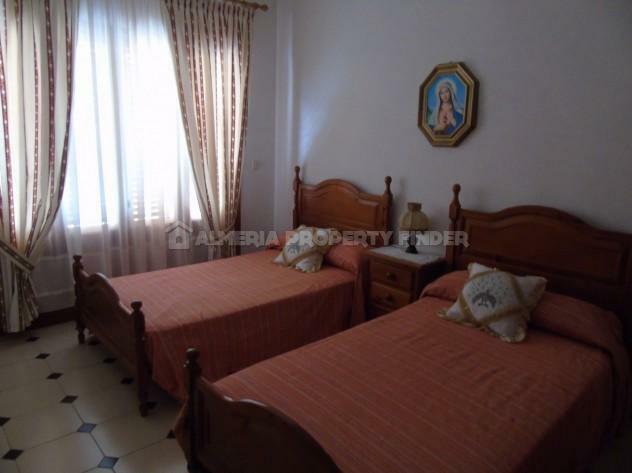 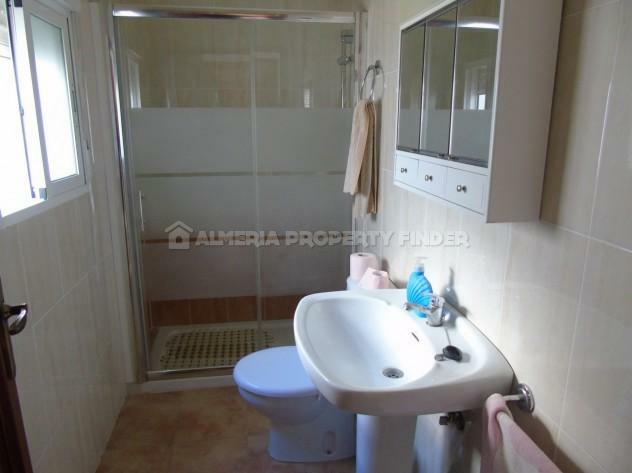 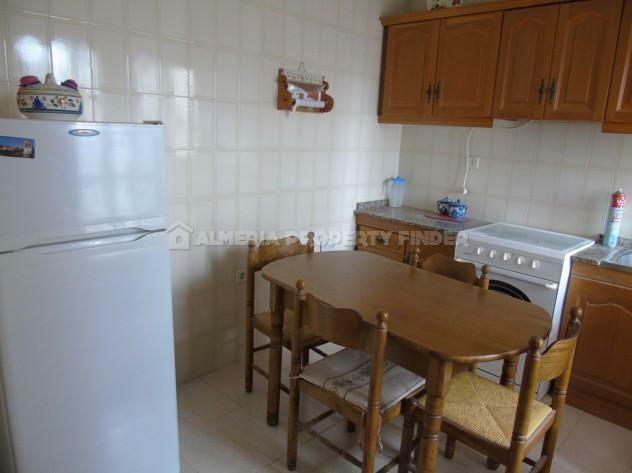 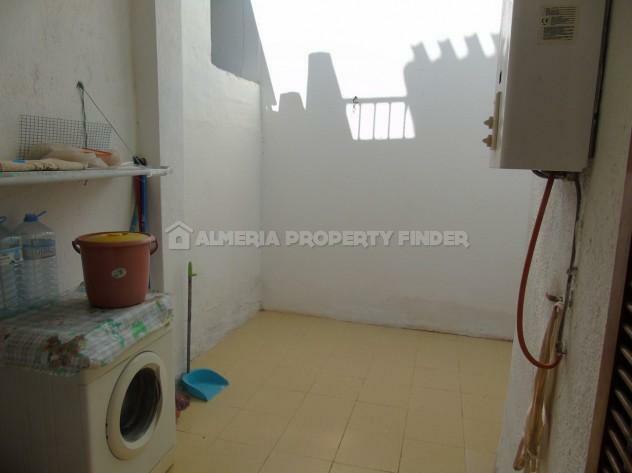 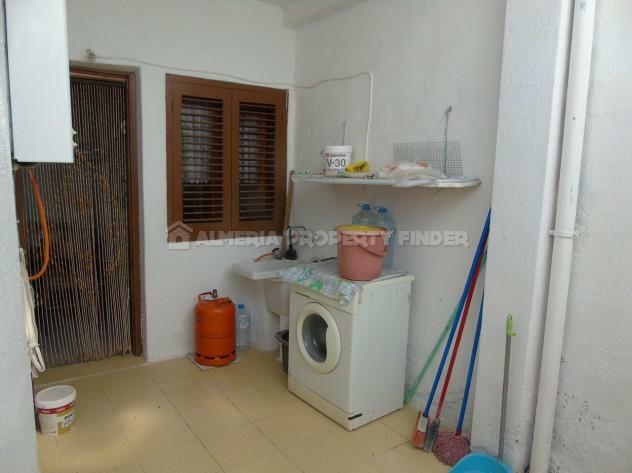 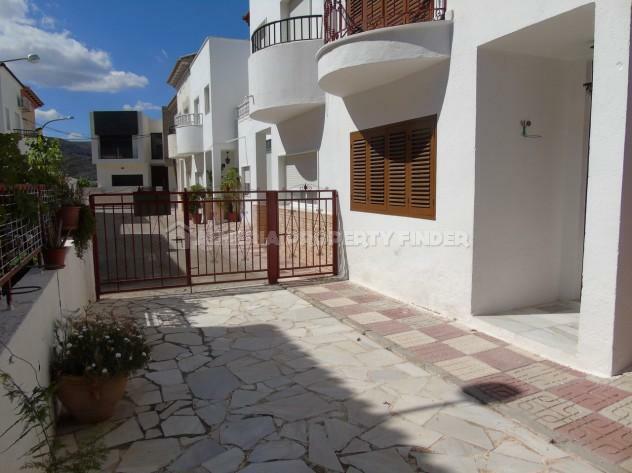 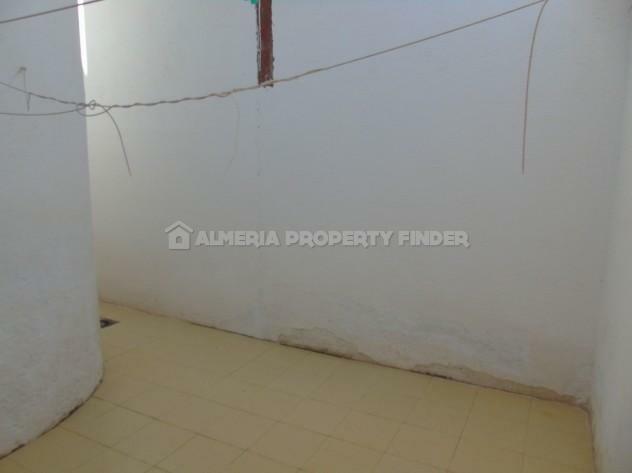 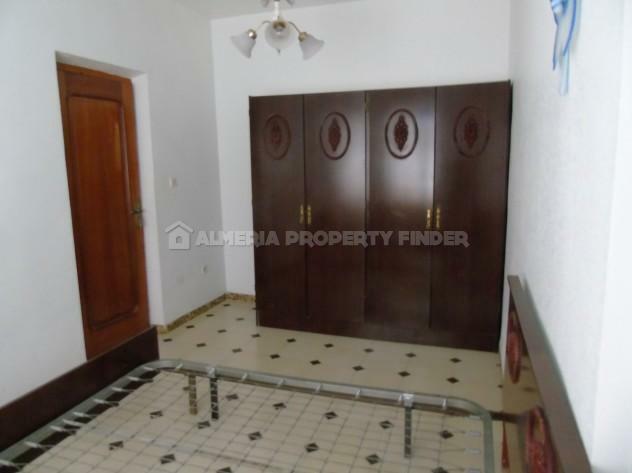 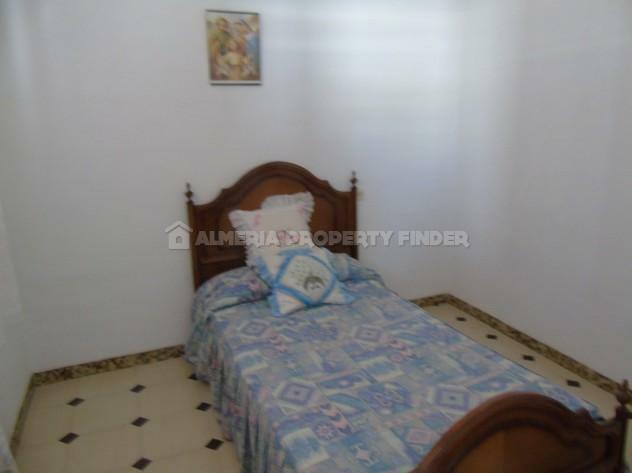 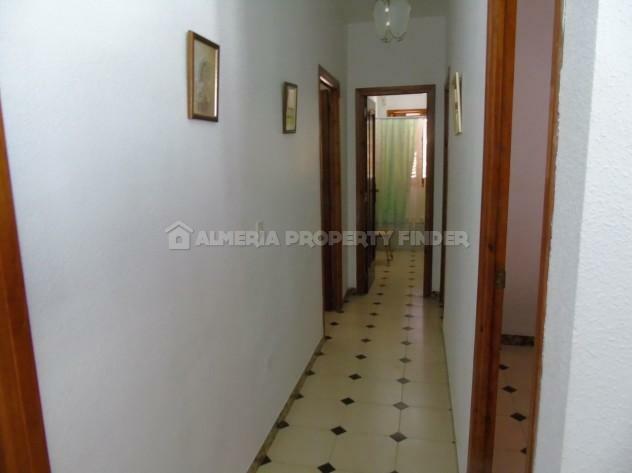 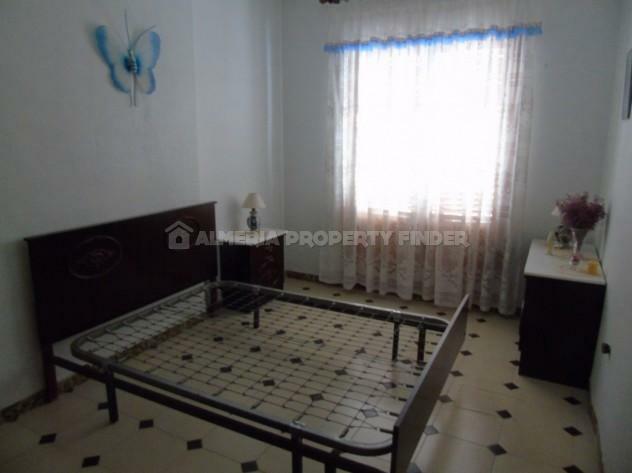 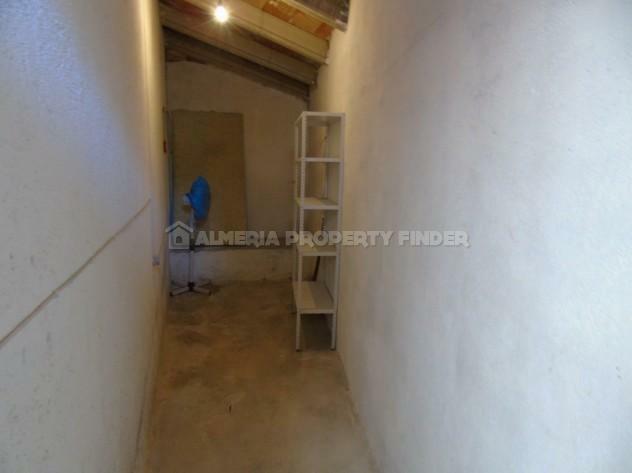 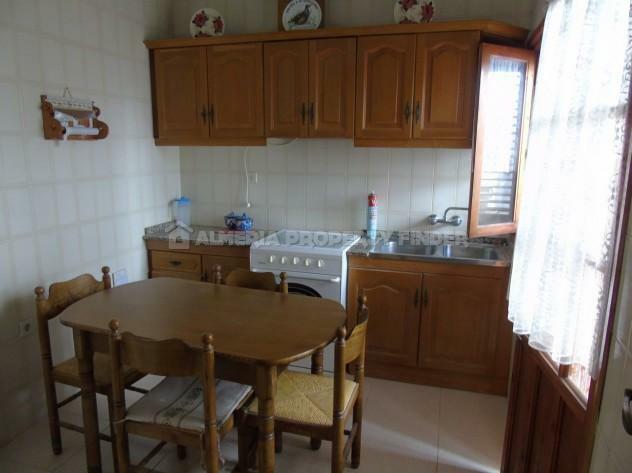 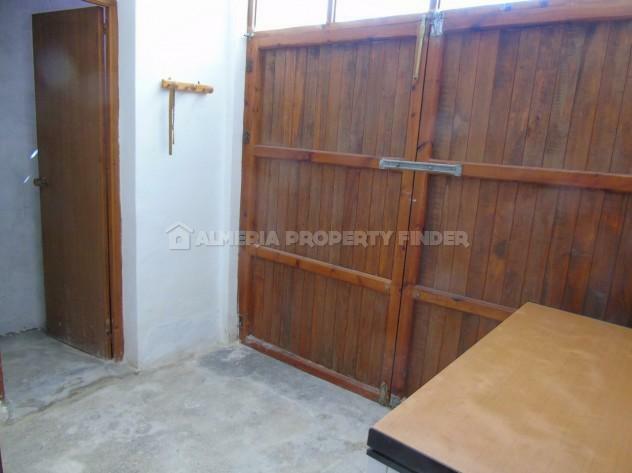 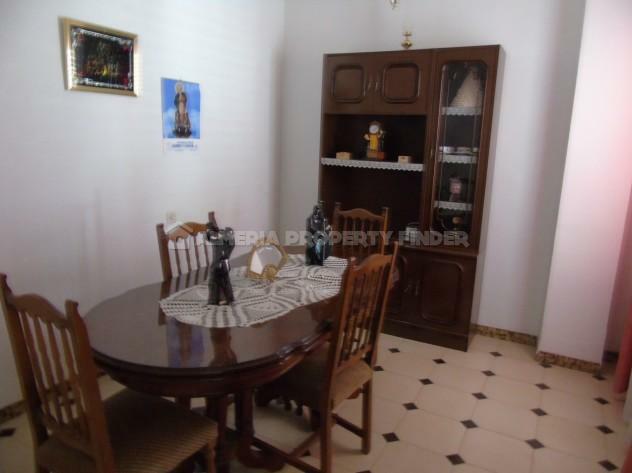 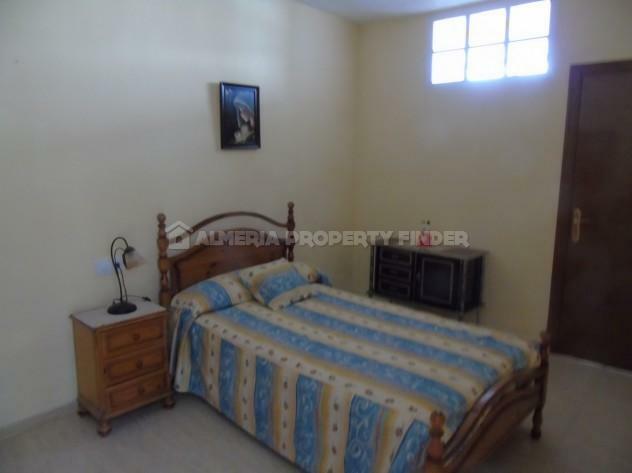 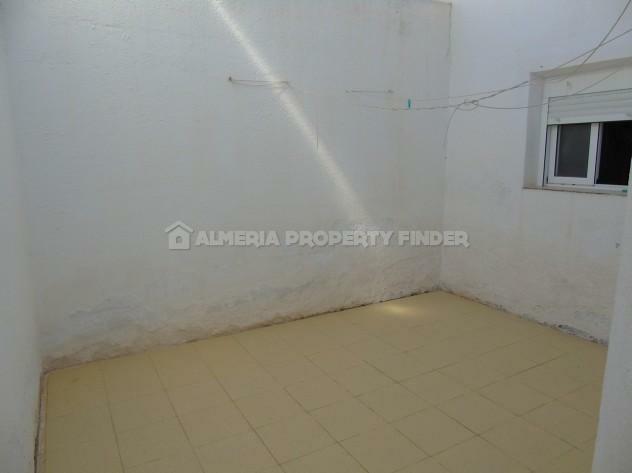 Modern two storey 5 bedroom town house with garage for sale in Almeria Province, situated in the traditional valley town of Cantoria, within walking distance of all amenities. 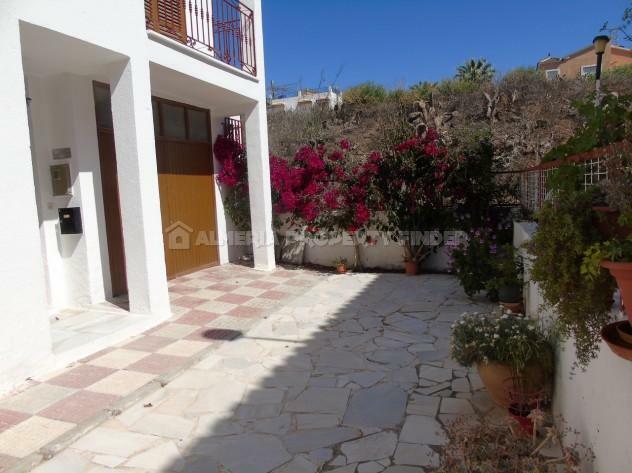 With a build size of 121m2, the house is set in a walled & gated plot of 113m2, with a tiled patio to the front. 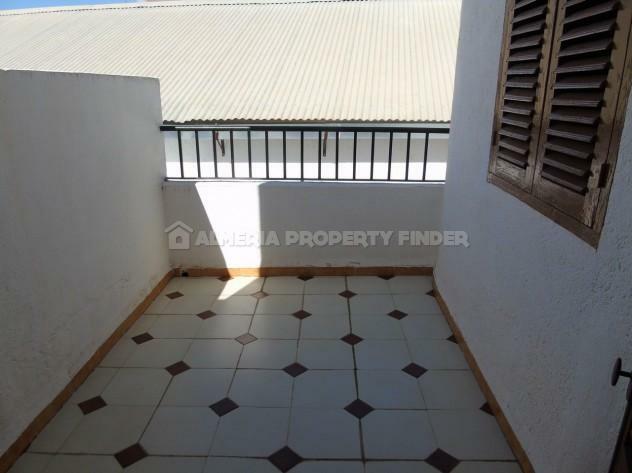 The patio gives access to the 15m2 garage which has an adjoining storeroom. 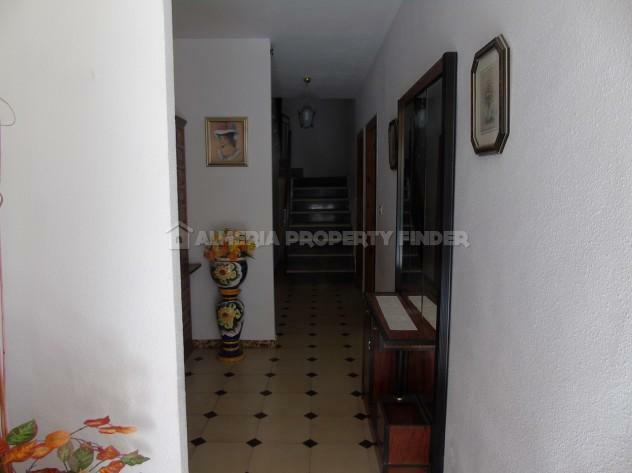 From a covered porch, the front door leads into a hallway which opens up to the lounge / dining room. 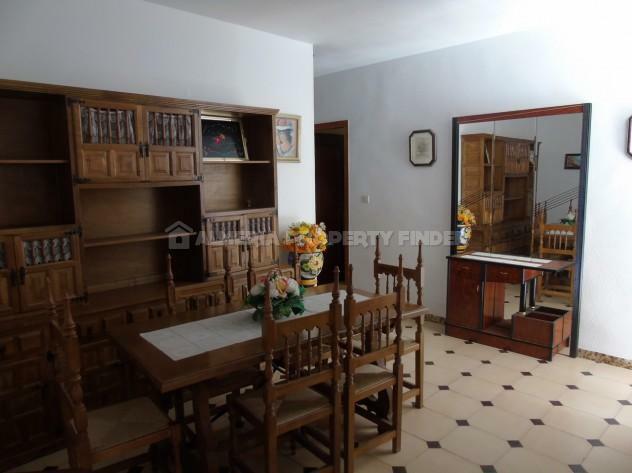 To the end of the hall is a door leading into a fitted kitchen with space for a breakfast table & chairs. 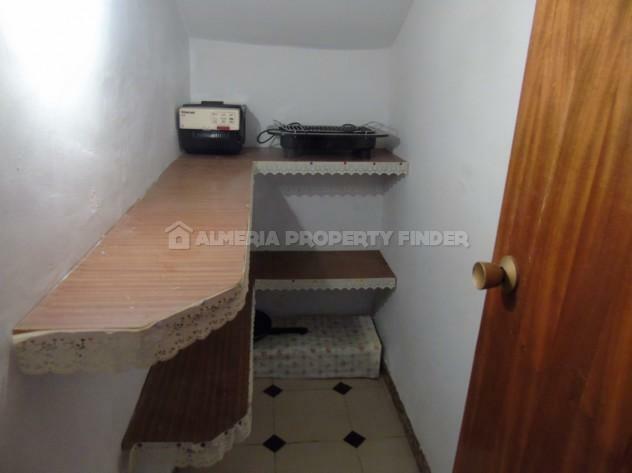 The kitchen has an adjoining pantry and a door leading out to a patio with utility area. 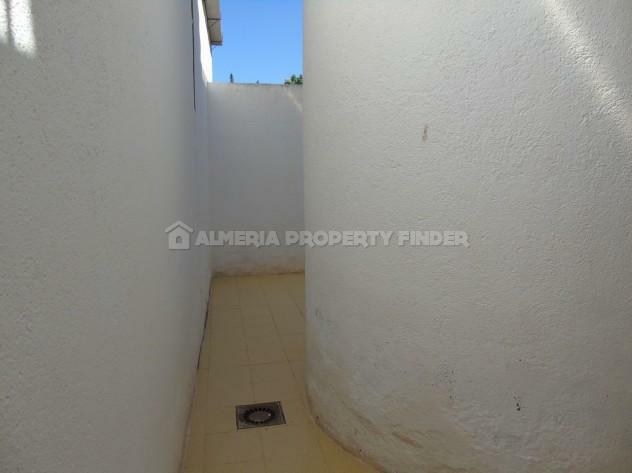 Also on the ground floor is a double bedroom and a separate shower room. 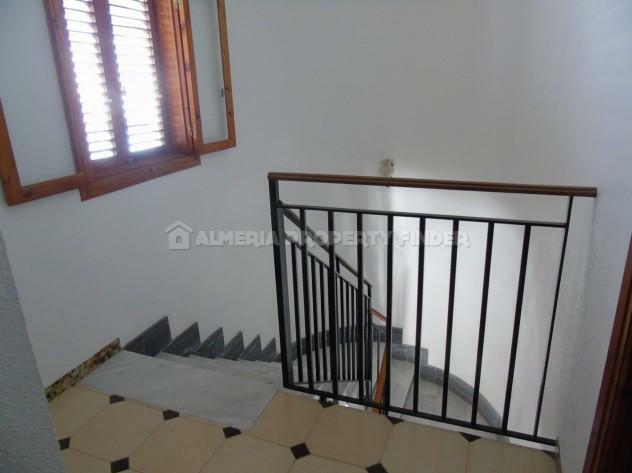 To the end of the hall, a marble staircase leads up to the first floor where there are four double bedrooms and a family bathroom comprising bath with shower over, WC, bidet and basin. 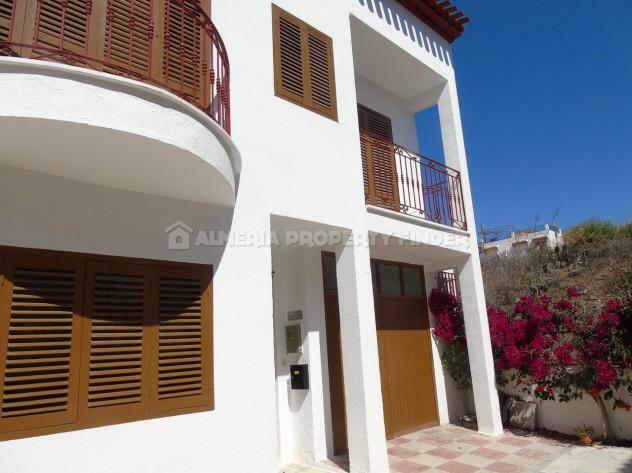 Two of the bedrooms have patio doors leading out to small balconies to the front of the house, and one has access to a larger terrace to the rear of the property.